Tax planning and tax preparations with Wrobel Accounting can put your business and personal finances back on track and make your job easier. We operate with your success in mind and make it our mission to meet or exceed your expectations. We offer knowledge and experience to guide you through important financial decisions, as well as affordable financial management solutions. Our owner/operator business assures that you get the personal attention you deserve. Learn more below. Click to expand each service. A personal (or individual) income tax is levied on the total income of an individual, with some deductions permitted, collected on a pay-as-you-earn basis. Corrections made soon after the end of the tax year take one of two forms: (1) payments to the government for taxpayers who have not paid enough during the tax year; and (2) refunds from the government for those who have overpaid. Good records are needed to prepare financial statements, such as income statements and balance sheets, which are used to prepare your income tax returns. Keeping detailed records will increase your chances of success. This allows you to easily monitor the progress of your business (i.e., is business improving, what items are selling, what changes are needed to make it more profitable, etc.) and distinguish between taxable and nontaxable income. Saving receipts makes it easy to keep track of which expenses are business-related and which ones are not. Keeping track of expenses also lessens the chance that you’ll forget which expenses need to be deducted when it comes time to prepare your tax return. Any record that will support the information reported on your tax return is a record worth saving. 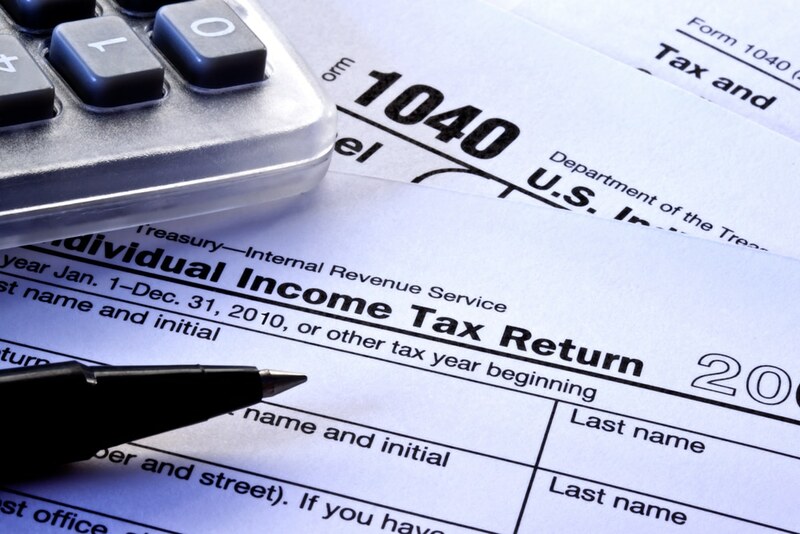 For more information on record keeping, check out IRS Publication No. 552. Our trained, certified accountants will help identify special credits such as Education Credit, Making Work Pay Credit, Earned Income Tax Credit, Child Tax Credit, Energy Tax Credit, and Credit for the Elderly or the Disabled, to name a few. In addition to tax return preparation, we also offer electronic filing (e-filing). Individuals taking advantage of e-filing and direct deposit typically receive their refunds twice as fast as returns filed on paper. Corporate tax refers to a direct tax levied by various jurisdictions on the profits made by a company and often includes capital gains of a company. Earnings are generally considered gross revenue minus expenses. Corporate expenses that relate to capital expenditures (aka assets) are usually deducted in full over their useful lives by using depreciation rates based on the class of asset to which they belong. Notably, rules about deductible expenses may differ at times, giving rise to book-tax differences. If the book-tax difference is carried over more than a year, it creates deferred tax or future assets and liabilities for the corporation which is carried on the balance sheet. Choose a tax preparer with experience and longevity. At Wrobel Accounting, we have both. We’ll maximize your deductions, minimize your total tax liability (and even potentially increase your refund). We can prepare any state returns as well as amended returns for prior tax years. If you don’t have all your paperwork ready by the filing deadline, we can file an extension for you, buying an additional 6 months to file. Wrobel Accounting has experience advising clients on complex matters such as Estate and Gift taxes, Multi-State Corporate Returns and Tangible tax returns. Whatever your needs, contact us for your complimentary new client consultation today so that one of our CPAs can help you determine the best course of action for your individual needs. Seasonal employers who no longer file for quarters when they regularly have no tax liability because they have paid no wages. Household employers reporting social security and Medicare taxes and/or withheld income tax. Employers reporting wages for employees in U.S territories (i.e., American Samoa, Guam, the Commonwealth of the Northern Mariana Islands, the U.S. Virgin Islands, or Puerto Rico). Agricultural employers reporting social security, Medicare, and withheld income taxes. Use of a reporting agent or other third-party payroll service provider does not relieve an employer of the responsibility to ensure tax returns are filed and all taxes are paid or deposited correctly and on time. If you go out of business, you must file a final return for the last quarter in which wages are paid. If you continue to pay wages or other compensation for periods following termination of your business, you must file returns for those periods. If you are required to file a final return, you are also required to furnish Forms W-2 to your employees by the due date of your final return. The Federal Unemployment Tax Act (FUTA), with state unemployment systems, provides for payments of unemployment compensation to workers who have lost their jobs. Most employers pay both a federal and a state unemployment tax. Only the employer pays FUTA tax; it is not withheld from the employee’s wages. For 2009 and 2010 the FUTA tax Jan.–Feb.–Mar. Mar. 31 Apr. 30 rate is 6.2 of taxable wages. If you are entitled to the maximum 5.4. Form 940, Employer’s Annual Federal Unemployment (FUTA) Tax Return, is used to report FUTA tax, which is due by February 1. More Tax Liability as a Business…is it Always Bad? Is Your Hobby a Business?